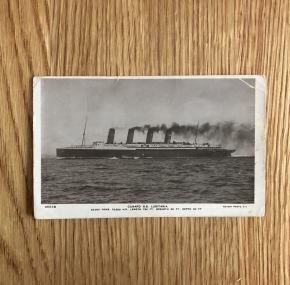 Real photo postcard of the RMS Lusitania on her trials. 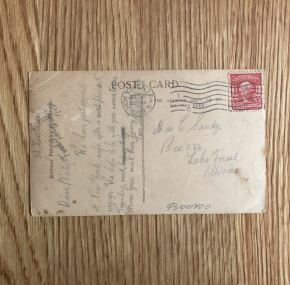 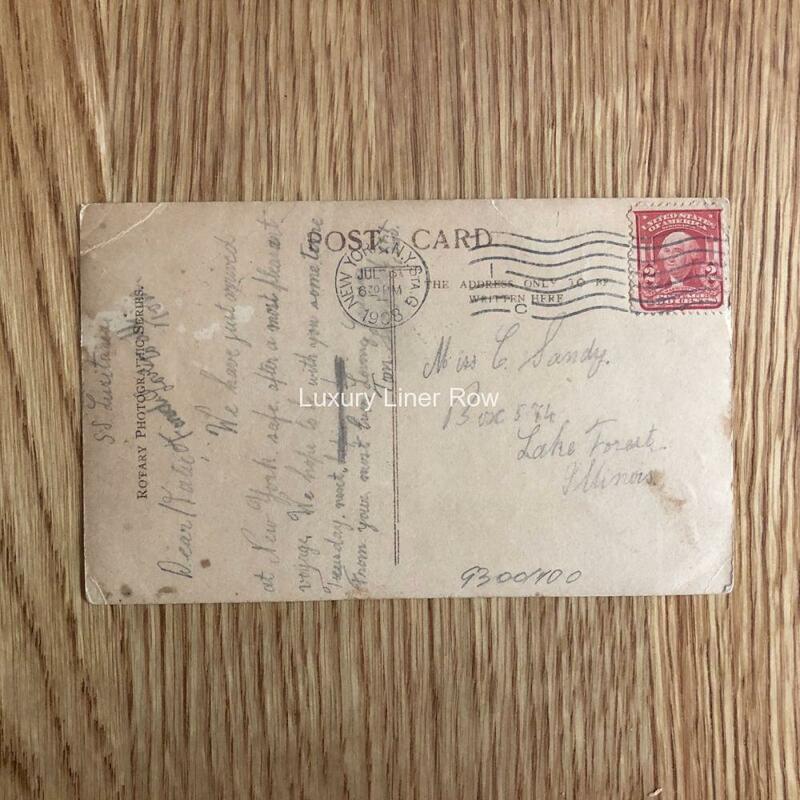 Posted July, 1908. 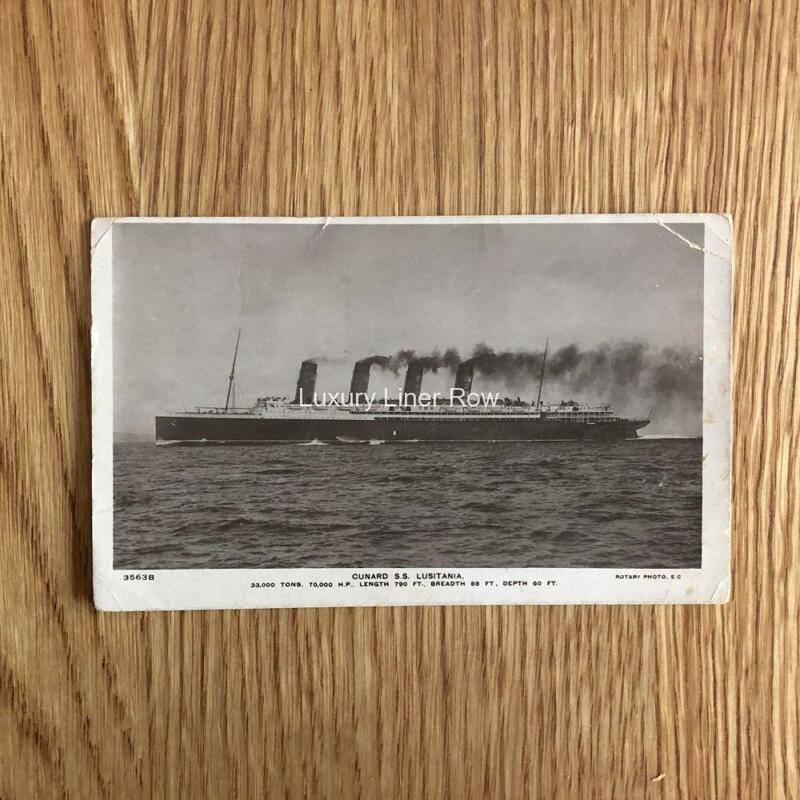 The message says, in part: “We have just arrived at New York safe after a most pleasant voyage.” Dog eared from being mailed.